You Can Do IT! 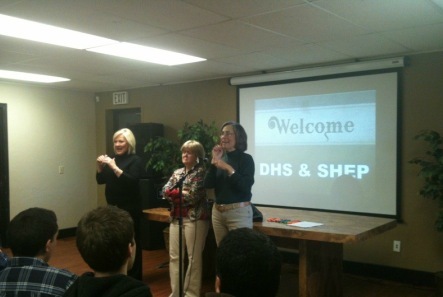 Deaf-Blind Conference, October 12-13 in Midwest City. The conference is co-sponsored by Sight Hearing Encouragement Program (SHEP) and Oklahoma Department of Rehabilitation Services. For more information, and to register as a participant or as an SSP (Support Service Provider), please go to the SHEP website (SHEP-ok.org) and click on Application (for Deaf-Blind participants) or contact them at 877-455-6151 or email at info@shep-ok.org (for SSP applicants). This is a great opportunity for you to learn from successful Deaf-Blind speakers how they made a difference and You Can Do It too!